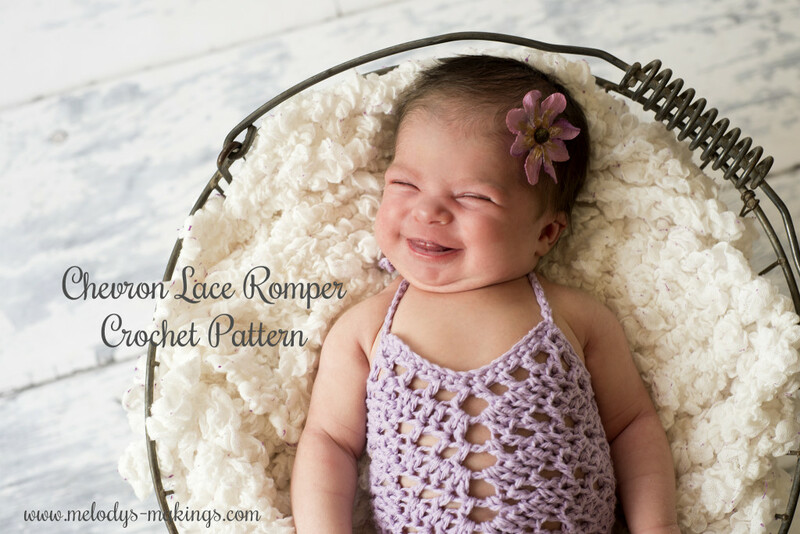 This gorgeous crocheted baby romper was featured as a free pattern on The Crochet Crowd blog earlier this week. There were a couple of website technical difficulties though, and the post has been removed. I’ve had a few people ask where the pattern went and I want to make sure you all still have access. These unique tutorial style patterns are SO awesome for learning more of the “why” behind what you’re doing and for using with multiple projects – however, that means they include a lot of info! To download this pattern, click here now. If you have friends that you think would like to receive this FREE pattern, then please share the link to this post! Your support is what keeps me working at home with my little guy. I have been trying to get the pattern for this romper for 3 days now… It doesn’t work! It gets sent out once an hour….did it get to you yet? I never received my pattern either. It’s been a few days. Hello! Sometimes the e-mails get blocked by spam blockers, etc. 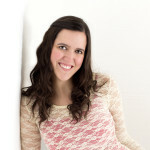 Just send me an e-mail at melody@melodys-makings.com and I’ll send you a download link for the freebies. Thanks! I haven’t been able to get this free pattern either. I am already signed up for your emails. I don’t remember seeing the pattern in any of my emails. Is there a way I can get this pattern please? Thank you! I never received my free patterns for signing up and it won’t let me try again. i signed a couple of days ago and get a email back, but i cant find the pattern? Is this free pattern still available? thanks. It is, Jill. I’ve been having some issues with my site today, though, so it’s not linking correctly. I’ll be getting it fixed as soon as possible, so check back soon. I’m having some website issues today, Virginia. I’m working to get it all fixed, but it may be a couple of days. Check back soon! I’ve had some issues with the site as it switched over to a new host yesterday morning. It’s on my to-do list for today to fix all the broken links, including this one. Sorry for the inconvenience! I appreciate your patience. Melody I love your crochet projects. You are so talented. You are also an awesome mom for putting your children first. Thank you so much for sharing your talent with us. I very much appreciate it. You have a true art. I am looking forward to new projects. Thank you got the romper Pattern. Melody. I can’t wait crochet it. You are very welcome Lucy! Enjoy! I’ve tried to download this a couple times and it keeps saying the file cannot be opened. Hi Rachelle! I just checked the link, and it’s working. Could you possible try from a different browser? Sometimes those have an affect on things. hello! I absolutely love this romper but I keep getting stuck on row 4. Is the second half of the last sc2tog of row three in the slip stich or the first double crochet? When I use the first double crochet I end up having a skipped chain right before and right after the chain three space. Which seems fine until I reach the dc2tog, the double crochet/ch1/skip doesn’t seem to work, I end up trying to do those stitches in the next chain three spot. Hopefully that all makes sense haha. Do you know what I could possibly be doing wrong? Or are the empty stitches before and after the chain three space not right? Are you getting an error message when you click the “click here now” button? Wanted the baby romper to crochet didn’t doesn’t download. Got the email to get two free gifts found the romper and gives instructions for a ladies scarf. Really liked that.